Yes, it’s true! Our Doctors personally perform injections. Since 2001. No pressure, free and friendly consultation. First time patients get their first 20 units for $99. Bring a friend and you both get 20 units for $89 each. Get in touch today for an affordable Botox treatment! 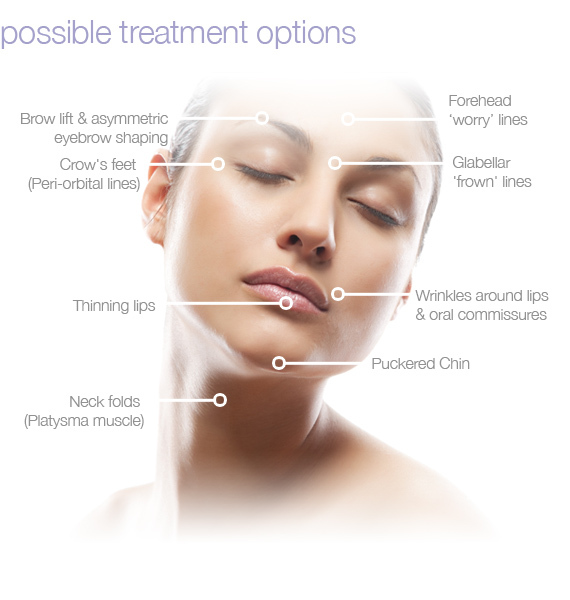 Thinking about Botox treatments in Toronto? We have been treating patients for almost 20 years with Cosmetic Botox. Crow’s feet, frowns, and more. We are always glad to answer your questions! How long does it take to recover from a Botox injection? Patients receiving Botox injections are able to return to their normal activities immediately following their treatment session, though it’s not recommended to engage in strenuous activity for the rest of the day. Redness and swelling may occasionally occur following your injections, though these side effects clear up within the first 30 minutes or so. Avoid touching the affected skin following an injection for about an hour to prevent the unintended spread of the botulinum toxin. Rarely, you may also experience temporary muscle weakness surrounding the treated areas. How long does it take to get a Botox injection? A single Botox injection takes just moments to perform, however, considering multiple injections are often required, a full session lasts about 10 minutes. If you’re receiving Botox injections from an experienced, board certified physician, you should only experience minimal discomfort. With Baywood Clinic, and our expert staff, this is rarely ever a problem, but a topical numbing agent may also be used if desired. It generally takes several days to reach the full effects of Botox injections. It’s recommended that you set a follow up appointment a few weeks following your treatment, so that we may gauge your progress. It is hard to give an exact answer to this question, as the effects of Botox will vary based on your age, skin condition, and lifestyle. However, it is safe to assume that the effects of Botox will last a minimum of three months, all the way up to 6 months in some cases. Our clinic has been treating patients with Botox in Toronto since 2001. Each patient is seen by one of the doctors, and our doctors personally perform your injections. Patients often ask about the possible uses of Botox, what can be done to improve their appearance? They may be confused after visiting many internet sites or hearing stories from their friends and often have unrealistic or misinformed expectations about what Botox does and how it works. In addition, many patients tell us that previous treatments were not cost-effective, as Botox may not have been the best solution to the problem. Our Doctors have been using Botox for almost 20 years, and have vast experience using it for cosmetic purposes, and they focus on those treatments that work and are cost effective. The main areas Botox is used and has been found to be cost-effective are the crow’s feet, or the sides of the eyes, the horizontal forehead lines, and the frown, which is also called the glabella in proper medical terminology. This is the area between the eyes. 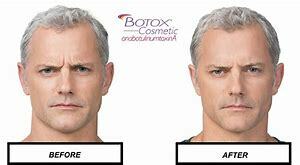 For the crow’s feet, Botox started earlier can prevent lines from forming as one ages, since it weakens the circular muscles around the outside of the eye so that when one smiles or squints there is less movement. We have had patients who started treating their eyes around the age of 35, and now in their mid-50’s we see virtually no change, as smooth as glass. It takes 10-15 units per eye for females, 10-20 for males to achieve good results, though we typically start at 10 units to be conservative. We often see patients who have been treated t other clinics who were told they could get by with 3 units per eye, or need 20 units, when, in fact, these amounts are outside the range that we feel is effective and necessary. There is no point in using too little to be effective, nor more than you need. The glabella, or frown line, is a common reason patient in Toronto come to our clinic for Botox treatment. It is the group of muscles that causes you to frown. Unfortunately, this is a very confusing facial expression, and others often see it as negative. They think you are angry or disapproving of them, when in fact it might just signal concentration or confusion. We see many patients who work with the public – teachers, lawyers, salespersons, and real-estate agents are among the most common individuals who ask for this treatment. And often they report that their colleagues, family, or even clients tell them they are looking more relaxed and less angry. In fact, we have had several young mothers tell us that they know when it is time to come in for their Botox treatment because their small children tell them that they are making angry faces again. A friend of one of the doctors in the clinic was an emergency doctor in Toronto, and we used Botox to treat his frown. He often squinted when concentrating, for example, when reading a patient chart in the emergency room. A few months later he told us that several nurses had asked him if things were improved in his life, since he no longer seemed angry all the time! In fact, he was just concentrating when they would hand him a chart, but they imagined in was in a foul mood. One even asked him if he had taken up meditation! The other major area that is treated with Botox is the forehead horizontal lines. Patient often worry about getting eyelid droop with Botox, they are thinking of eyebrow droop, which may be caused if too much Botox is injected into the forehead, or it is injected too low. This is more common in older individuals whose forehead muscles are weaker. At our Botox Clinic in Toronto, this is a very rare occurrence, since the Doctors are very conservative in their dosages, and always inject high enough not to cause this problem. A few years back a psychiatrist in Chicago noticed that some of his patients with mild depression seemed to improve after they had Botox treatment of the frown. He postulated a feedback mechanism – that frowning is associated with negative feelings in the brain, so that when the frown is immobilized, the brain gets less negative feedback. Also, in social settings, if one is frowning this might turn other individuals away, since they mistake that as anger. In a depressed individual this might mean less positive social interactions and again cause a feedback loop towards a deeper depression. 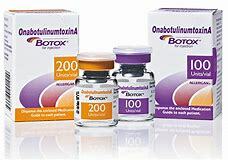 Currently the Allergan Company is running trials to see if, in fact, there can be any improvement in mild depression with Botox. Botox has very few and rare complication. bruising, usually a very small area the size of a pinprick, that is easily covered with makeup and clears in 2-3 days. We see this in less than 5% of patients. Also, the infamous “spock eye” where one brow lifts a bit higher than the other, again only about 1% of patients, and easily corrected by our Doctors. Other than these complications, there are very few issues with Botox; the most typical request is to add a bit more, as the patient wants even more softening of the muscle. It is important to remember that Botox has been used for over 30 years as a cosmetic medicine, and much longer for medical conditions. In fact, many patients suffering from neurological disorders receive several thousand units of Botox per month! This is far more than the average cosmetic patient, who typically might get 150 units per year. Botox has been highly studied and continuous research has shown it to be an effective and extremely safe therapy. There are a few other cosmetic indications for treatment with Botox – for example a few units can sometimes raise the corner of the mouth, the so-called marionette lines, although treatment with Juvederm fillers is often the better choice. Or Botox can help reduce the gummy smile for some patients. We often see patients in Toronto who have been misinformed by another clinic, for example that one must treat the glabella for the forehead lines treatment to be effective. Any of the areas can be treated independently, with no effect on the others as these are separate muscle groups. Or we see patients who have been told they need 80-90 units by another clinic and are surprised when we recommend 50-60. Yet they are very pleased when they return the next time, telling us that the results that were achieved were excellent. And Botox can be used to reduce the embarrassment and discomfort of underarm sweating, which is something about 2% of Canadians suffer from. It works great, lasts about a year, and is covered by most major insurers under group plan. 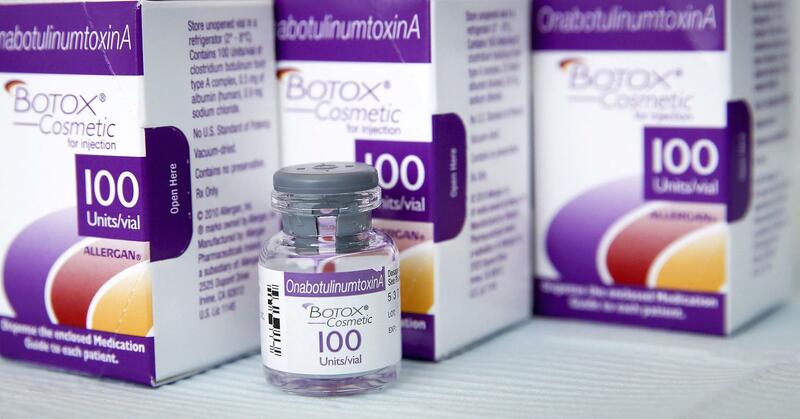 What is a typical Botox treatment like? Many patients are anxious when they arrive to try Botox at our Toronto clinic for the first time. Many have been referred by friends who have had wonderful experiences at the Baywood Clinic (baylaser.ca), but still are bit worried, having read inaccurate horror stories online. The first step is always a no-pressure consultation. Many patients are surprised how laid back and friendly we are. The Doctors never upsell or use professional closers to try and pressure anyone. We often insist a nervous patient go home to think about the procedure before making up their mind. At the consultation, we find out you background history, what you expect from Botox treatments, and answer all your questions. If you are a good candidate and would like to proceed, it is very simple. After signing a brief consent form, the areas you want to treat are cleansed with alcohol, and several small injections are made into the muscles that need to be treated for you to get the desired effect. They really are painless. Often patients question whether they really got 8 injections, since they only slightly felt 2-3. This is because we use the smallest possible needles, 30 gauge that are used by Diabetic patients for their insulin injections. It is extremely rare for a patient to find the procedure painful. After treatment patients always ask if they must make faces, moving the injected muscles, this is an old myth that persists in some clinics, and is online. One of our Doctors was a pharmacological Chemist prior to Medical School and can assure you that Botox acts within minutes. You do not need to make faces! In fact, a study in Italy done in 2002, shows that it is of absolutely no use at all. Patients also wonder if they can go to the gym, the answer is yes, since within 45 minutes the Botox is locked into place and you are free to exercise as usual. The only precautions prior to treatment is to avoid alcohol, green teas, aspirin, and alpha-omega supplements, as these thin the blood and can cause minor bruising though this is very uncommon. After treatment, it takes 5-8 days for the Botox to reach maximum effect, though with repeated visits, it tends to act faster, after that time, if you have any questions about the treatment, or feel you need a touch up, you simply call the clinic and let us know. You are good to go until the Botox wears off, usually in 3-4 months. We have had many patients who we have been treating with Botox in Toronto for almost 20 years, and the areas we treated look as smooth as the day we started, usually these patients come about 3 times a year. 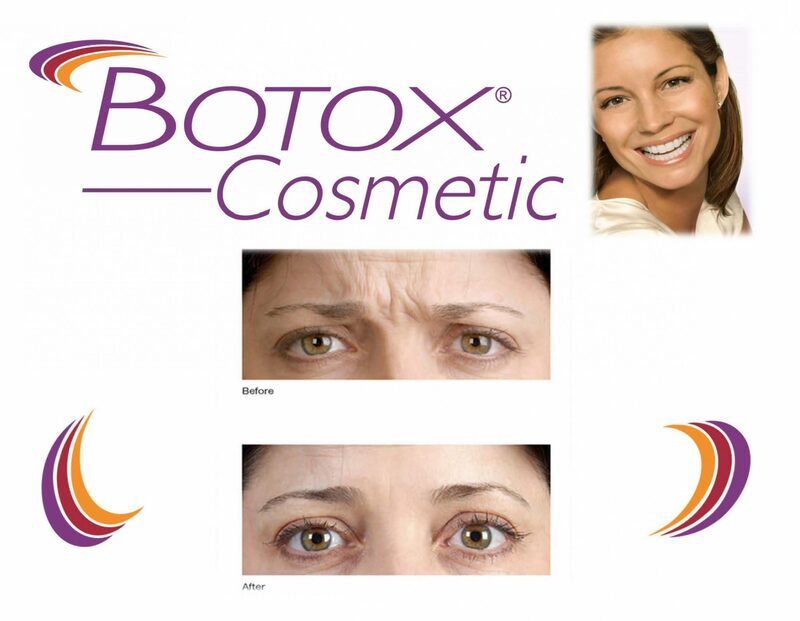 Botox has become the most popular cosmetic treatment in the world. Every year, in North America alone, over 30 million procedures are done. With its growing popularity around the world these numbers will only grow. It is a simple, safe procedure that has become so commonplace that the word Botox is now part of everyday life. In the past few years we have seen the number of men using Botox increase dramatically. At the Baywood Clinic, about 40% of our patients are now male, and the number keeps growing. We often have patients who bring along their partners, parents or friends to watch the treatments, and they also decide to give it a try. Our most common and successful advertising is our patients themselves, since they are all too happy to go online to write a good review, or spread the news at their offices, gyms, or schools. We have had the situation where one teacher has referred almost a dozen of her colleagues over the years, and it’s not uncommon to see many patients from the same government office, law firm, or college. There are so many myths surrounding Botox that it is hard to keep count! Some are harmless, like the notion that you must make faces for hours after your treatment. This was disproved in 2002 in a study in Italy, when Dermatologists and Plastic Surgeons could not tell the difference between the face-makers and regular patients after three weeks. Other Botox myths concern not being able to exercise or having to lie down for hours after treatment. The truth is that once 30-60 minutes have passed, you can resume your normal routine. One of the biggest problems many Botox users have is who to tell. Obviously, this is a personal choice – some patients are happy to post about their experiences on social media, others tell no one, and it remains a confidential secret between them and their doctor. But we have had a few patients who ran into trouble over time – like the gentleman who, in his 60’s, had been treated for 15 years with us. His friends grew more and more suspicious as the years wen by, and he continually denied that he was using Botox. His face continued to look smooth and relaxed, but he was growing more anxious as they pressed him to admit the truth. We advised him that it was his personal choice to reveal what he wished about his personal life, and suggested he tell his friends his smooth skin was a result of good genetics, staying out of the sun, and using Oil of Olay! Laughingly he reported a few months later that all his friends were now using that skin product. You will see a lot of Specials listed on Social media and in the newspapers for Botox Specials. We feel our clinic is special all the time. Firstly, you always see a licensed physician for you no=pressure consultation. And the, the Doctor does your injections personally. As to the price, at $10 a unit we are very competitive, as low as it gets in any downtown clinic. And we do have our own Special – it’s $99 for the first 20 units for first time patients, and $89 if they bring a friend for treatment. And if you refer a friend who does treatment, you get that $99 Special yourself. Just make sure that they let us know who sent them. From time to time we have other specials as well and announce them in our e-mail newsletters that come out about 3-4 times a year. So please make sure you are signed up for these. The most important thing about a Botox Special is that it is not worth very much if you are not satisfied with the treatment. If you pay $250 but aren’t happy, would it not have been better to pay $300 and have an excellent result? And that is what we strive for, perfection, or as close as possible. Nothing makes us happier than having a patient send us a friend who tells us that they have thought about trying Botox for years, but only decided to visit because their friend spoke so highly of us. And this is the philosophy of the clinic, our goal is happy patients, whether it is for Botox, or any of the other treatments we perform.